Rancho Santa Margarita lies along the foothills of the Saddleback Mountains, which offers a majestic scenic backdrop. This beautiful community offers a mix of real estate options for sale including single family homes, townhomes and condos. Rancho Santa Margarita real estate is divided among five master associations with homes for sale: Dove Canyon, Rancho Cielo, Robinson Ranch, Trabuco Highlands, and Walden. Stunning semi-custom dream home located in the heart of Rancho Santa Margarita in the incomparable Rancho Cielo gate guarded community! The residence was thoughtfully designed and remodeled with impeccable attention to detail. The seamless outdoor/indoor living space complete with high-end Western glass slider makes entertaining huge groups a breeze! This resort-style estate was expertly designed by John Shippy, OC's premier landscape Designer. The city of Rancho Santa Margarita offers homes for sale that are easily accessed via the 241 Toll Road, Santiago Canyon Road, or the Interstate 5 Freeway. This prime location makes Rancho Santa Margarita real estate a great place to reside for residents who will plan to make the commute to places of business throughout Los Angeles and Orange County. It is a young and thriving community, having been incorporated less than a decade ago in January of 2000. With a low crime rate, award winning school districts, and an abundance of amenities, Rancho Santa Margarita real estate is a perfect location for families and singles. Activities abound in the area, and active residents can take the opportunity to hike through the O'Neil Regional Park. Rancho Santa Margarita is also within a short trip for those who wish to climb Saddleback Mountain or swim locally in the lagoon at the Rancho Santa Margarita beach club. 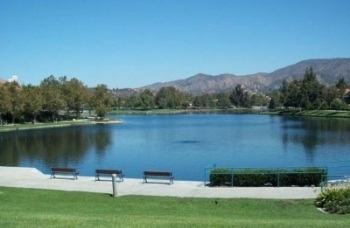 The city's recreational facilities are managed by the Rancho Santa Margarita Landscape and Recreation Corporation (or SAMLARC). SAMLARC is sometimes referred to as the "master association" in Rancho Santa Margarita because a number of other smaller sub-associations fall under its operation. SAMLARC also encompasses the original footprint of the master planned community of Rancho Santa Margarita. The association maintains the lion's share of the streetscapes, medians, parks, and trails within the community. In total, SAMLARC operates and looks after 13 parks, four swimming pools, a lake, a lagoon, and numerous hiking and biking trails within the community boundaries. One of the city's most popular parks is Central Park, which is located next to City Hall and enjoys the services of a sizable amphitheater. The Central Park grounds, along with the beautiful performing arts facility, are the prime location for a calendar full of community events that are held in Rancho Santa Margarita throughout each year. Central Park is the location for sporting activities as well, with a terrific arena soccer facility that was converted from a roller hockey rink. In addition, SAMLARC is in charge of popular skate and dog parks that are both located within the Canada Vista Park. 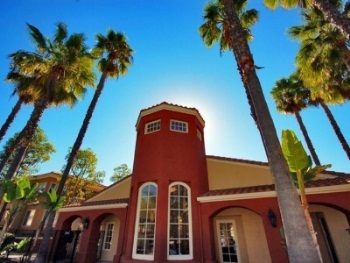 Rancho Santa Margarita real estate also boasts a rich abundance of greenbelts and smaller parks where a family, group, or single persons can relax, enjoy a picnic lunch or dinner, and rest under the cool shade of the plentiful trees. In the summer, the civic plaza hosts outdoor concerts where residents can groove to the music and dance with the sunset as a scenic backdrop. Throughout Rancho Santa Margarita there are many convenient marketplaces offering a variety of places for shopping trips and a number of charming restaurants to enhance the dining options for residents. Similar to the majority of the Southern California coast, Rancho Santa Margarita real estate enjoys the beauty of a Mediterranean climate. Just as it sounds, this climate is based on its strong similarity to the weather in the geographical regions that border the Mediterranean Sea. In the Orange County area, the summers range from warm to hot, while the winters are cool. However, the thermometer very rarely ends up falling below the freezing level. Most of the rain that falls in Rancho Santa Margarita will come down during the winter months. The average January temperature in Rancho Santa Margarita is 56 F (13° C), which is the coldest time of the year. Meanwhile, the hottest weather occurs during the month of August, when the average temperature is a very temperate 73 F (23 C), although the mercury may go somewhat higher than that during some of the hotter spells. The city of Rancho Santa Margarita is served by two school districts. These are the Saddleback Valley Unified School District (SVUSD) and the Capistrano Unified School District (CUSD). Public high school students in Rancho Santa Margarita will attend Trabuco Hills High School or Mission Viejo High School if they live in the boundaries of the SVUSD. Those residing in the CUSD boundaries attend Tesoro High School, which is located in the Las Flores neighborhood of Rancho Santa Margarita. Another local option for some high school students is Santa Margarita Catholic High School, a private Roman Catholic high school associated with the Catholic Diocese of Orange and located directly in Rancho Santa Margarita. There are two public middle schools in Rancho Santa Margarita, with Las Flores Middle School (CUSD) and Rancho Santa Margarita Middle School (SVUSD) serving the city's middle school students. Public grade schools include the Cielo Vista, Trabuco Mesa, Robinson Ranch, Arroyo Vista, Melinda Heights, and Tijeras Creek Elementary Schools. For families looking for private elementary and middle schools in Rancho Santa Margarita, there are additional options including Saint John's Episcopal School, Serra Catholic School, and Mission Hills Christian School. For the younger children who are not yet ready for elementary school, a wide variety of pre-schools are also available in the city. These pre-schools can be found listed--along with any associated costs and other pertinent details--on the Rancho Santa Margarita city website. Additional adult community education programs add to the activities and quality of life for Rancho Santa Margarita. Residents can learn photography, sewing, foreign languages, floral design, horseback riding, ice skating, and a myriad of other exciting opportunities. Residents with pets are generally very pleased with the services available in Rancho Santa Margarita, as the availability of Orange County Animal Care offers a wide variety of animal services. In addition, the community offers dog-training classes to residents with an interest in this type of instruction. The city also boasts multiple animal hospitals to provide the health care for pets in the community. The Aaronson Group can tell you more about Rancho Santa Margarita homes for sale & houses in Orange County. Contact our real estate team today to get started!